A picture is worth a thousand words… or is it? A regular shot of a beautiful house may be picture-perfect. But when viewed through the eyes of a thermal imaging camera, it can reveal a lot of hidden issues. Atlanta thermal imaging is a technique using a special camera that detects heat radiation from the objects in focus and converts then into images according to the infrared spectrum. A warm body or object emits enough heat that when placed against a cooler object, shows different colors in the screen. The hottest objects will appear white or bright colors, and black is emitted in low-temperature objects. Originally a military surveillance tactic, the science of thermography spawned during the Second World War. The presence and the movements of the enemy can be well-detected without using any form of light, especially during nighttime. In the 50’s, the medical field started to employ this technology to scan possible diseases and treat them accordingly. The application of this technique expanded as the years rolled by and researches and developments were implemented. In the recent 2009 A H1N1 pandemic, airports used the thermal imaging camera to detect incoming passengers afflicted with the virus. What is the relevance of Thermal Imaging to house remodeling and energy conservation? Scanning a house with a thermal imaging camera is an efficient way to detect leaks and holes that cannot be seen by the naked eye. Energy loss – small crevices in doors and windows are sometimes overlooked by the owner, thereby wasting precious heat in cold weather and cold air in summer. With Atlanta thermal imaging, we are given a clue as to where sealing is needed to prevent the escape of heat and cold air from the air conditioning. This is also applicable to finding missing insulation in walls. Water leaks – it could be rainwater travelling from a roof hole right down to the floor, or a busted underground pipe. Hard-to-find source of a ceiling leak can easily be traced with a roof image using this camera. Energy conserved = money saved. Precious energy is prevented from being lost by easy detection using the thermal imaging camera. This equals to savings on our hard-earned money. Knowing the repairs to prioritize. Knowing where to zero in on the repair areas can not only save you money but also save you time since the Atlanta insulation contractor will know exactly where the problem is located. If you can pinpoint the source of the problem, it may not be necessary to tear down the whole ceiling, wall, etc. Anticipates and prevents future damages. Upon the discovery of a tiny loophole in the house, you can now work on it before it becomes a full-blown problem. For example: a tiny water leak, if left unattended for long, can destroy the wood finishing of the interior. Electrical overload can be detected in time before it becomes a disaster. 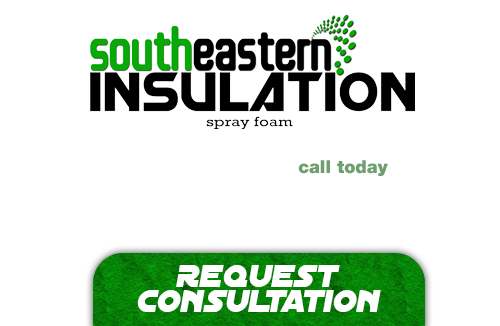 If you are looking for an insulation company in the Atlanta area, please call Southeastern Insulation at 678-561-3626 or fill out our online request form.